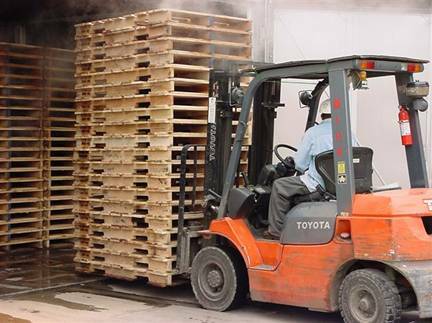 Transporting your products overseas, need the pallets to conform to ISPM15 standards and need validation that the pallets are certified Heat Treated? Edwards Wood Products can help. Always a leader in the industry, Edwards Wood Products became certified for heat treating in August of 2001. We have units at both our Marshville and Laurinburg locations, which are capable of heat treating in excess of 10 million board feet of lumber in pallet form each year. No matter what aspect of our operations, quality and integrity are still of utmost importance for our customers. ISPM 15 is an International Phytosanitary Measure developed by the IPPC that directly addresses the need to treat wood materials of a thickness greater than 6mm, used to ship products between countries. It affects all wood packaging material (pallets, crates, dunnages, etc) requiring that they be treated with heat or fumigated with methyl bromide and marked, often branded.